We couldn't calculate any finance rates for this selection. Try changing your deposit, term or mileage. Alternatively contact Zuto directly by clicking the button below. Apply for finance with our trusted partner Zuto, with rates as low as 9.9%. Zuto work with 17 lenders to get you the best rates. For illustration purposes only. Zuto can't guarantee being able to obtain a loan at the quoted rates/prices due to the many factors involved in vehicle finance, however Zuto will always try to obtain the best deal for you based on your circumstances. Zuto Limited is acting as a credit broker and not a lender. All finance is subject to status and income. Applicants must be 18 or over. Terms and conditions apply. Guarantees and indemnities may be required. Auto Trader's 5 background checks Auto Trader has carried out 5 background checks against this vehicle at the time the advert was placed, using the details provided. The results are shown below. Check to see if the vehicle has been written off by an insurer because it is uneconomical to repair. The category of write off can vary depending on the vehicle's age and value. Category C, D, S, N vehicles are often put back on the road. Further recommended checks Auto Trader has not performed background checks against these 21 points, although the seller may have done. We advise you to perform a full check. The seller may have conducted their own full check. Outstanding Finance Check to see if the vehicle has outstanding finance against it. If it does, then contact the seller as quite often the finance agreement is settled on sale of the vehicle. However, please be aware that if you buy the vehicle, the finance company will remain the legal owner of the vehicle until the loan is repaid in full. Previous Keepers Check to see how many previous keepers the vehicle has had and the dates of change of ownership. Mileage Data Check to see mileage information. The check may flag up significant mileage discrepancies. A discrepancy indicates that the vehicle may have been 'clocked', and that at some point the odometer has been tampered with to display a lower figure than the actual mileage. If necessary contact the previous keepers of the vehicle (shown on the V5C). Reg Plate Changes Check to see if the vehicle has any registration plate changes. Vehicles primarily go through plate changes so the owner can personalise the vehicle, so it's usually nothing to worry about. It will always go back to an age related plate once the 'private' or 'cherished' plate has been moved to another vehicle. Colour Changes Check to see if the vehicle has had any colour changes. Colour changes of a vehicle may be for the purposes of personalisation, so it's usually nothing to worry about. Vehicle owners are required to notify the DVLA of any colour changes which will then be noted on the vehicles V5C, the Vehicle Registration Certificate. High Risk Vehicle Check to see if the vehicle is recorded as being at 'High Risk'. This usually means that a third party has an interest in the vehicle and is trying to track it to prevent it being sold on as ownership is under dispute. It often relates to a finance agreement, or where the vehicle was used for temporary use e.g. rental car, fleet car, courtesy car etc. It is not usually connected with the physical condition of the vehicle. Recorded Vehicle Data (13) Check on vehicle details as recorded with the DVLA and shown on the V5C registration document. Extra Data Check to see if there is any additional background information recorded against the vehicle. Environmental Report Check to see how green this vehicle is. The 5 checks were performed when the advert was placed and therefore the information may be out of date. We advise you to carry out your own enquiries into the vehicle's history, for example by purchasing a full vehicle check with a data guarantee of up to £30,000 using the link above. Terms and conditions apply. Please note: The seller may have conducted their own checks. Results of your personal check will not appear on our website. The 5 basic checks were provided by Experian when the advert was placed using the details provided. We use the details sourced from Motor Insurance Anti-Fraud and Theft Register (MIAFTR), operated by Insurance Database Services Ltd, to check whether the vehicle is recorded as having been written off. The write off category indicators are provided for your assistance, but the presence or absence of an indicator in an advert should not be relied upon by you to indicate the status of a vehicle. Data can change, so you are strongly advised to obtain a full vehicle history check before making an offer on a vehicle. 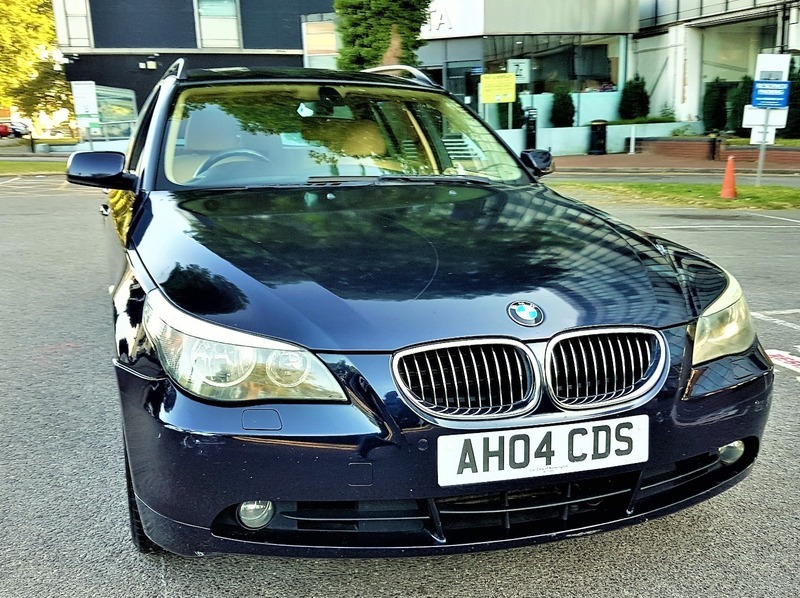 Start a conversation with this dealer about part-exchanging your car using an Auto Trader guide valuation Read more. I just want a valuation.